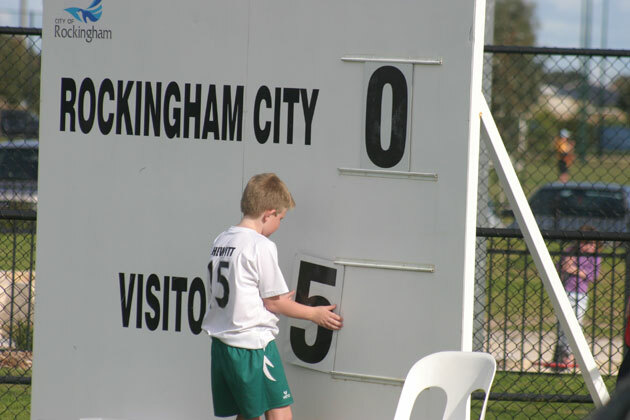 There was plenty of work for the young scoreboard attendant when Perth Glory played a pre-season friendly against Rockingham City at Lark Hill in August. Glory piled on the goals in the first half and went on to win 10-0. 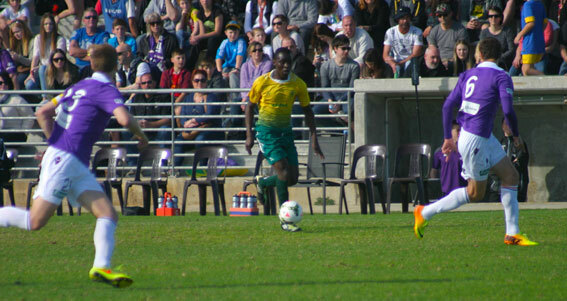 This run by Rockingham City’s Abraham Taona almost resulted in a goal. 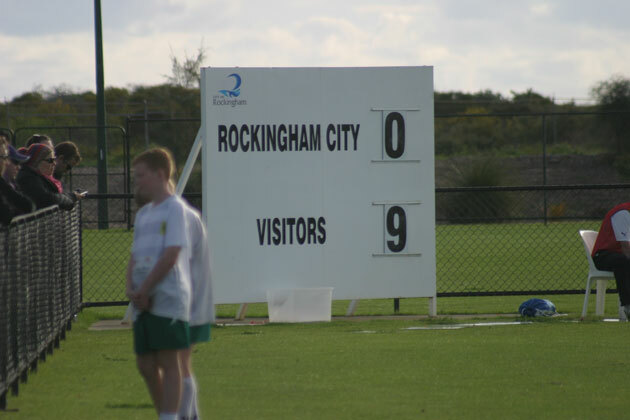 Rockingham finished second in Division 2 of the WA State League in 2014. Lark Hill is the pride of Rockingham with great facilities for lots of sports. There’s also a thoroughbred racing facility nearby where trials are run.